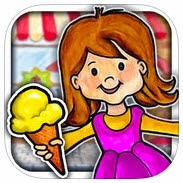 Smart Apps for Kids just posted 101 FREE and Discounted Apps. This is a blog I follow daily as they post many apps relevant to our profession. There will be a lot of great discounts in April - Autism Awareness Month so sign up for their FREE APP ALERT.